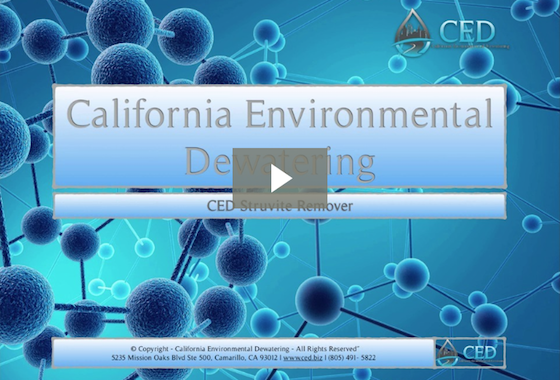 California Environmental Dewatering provides the world’s best performing Water and Wastewater treatment chemistry. We provide chemicals for Wastewater, Struvite Removal, Vivianite Removal, Potable Water, Industrial Water, and Enhanced Oil Recovery. Our customers are wastewater plants, potable water plants, industrial water plants, and oil services companies. What separates CED from the competition is that we provide the best products and work with customers to facilitate efficient operations and solve problems. Essentially, we leverage our expertise through on-site engineering. At CED, we are constantly innovating our solutions and structuring new Alliances to improve our company’s offerings. Ultimately, we enable our customers to become high performing treatment operations.